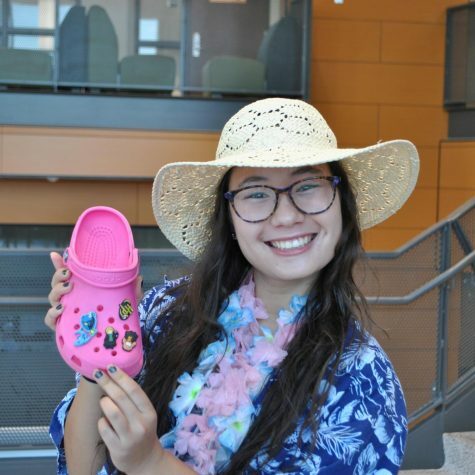 Cecilia Orth wants to live in a world filled with handwritten birthday cards, chai lattés, crocs, and smartwool socks. Cecilia, better known as “CC” is a Hufflepuff, an introvert with great hair, and a (barely) returning Zephyrite. She continues to be the voice of the people. Sorry people. CC does not know if she’ll remain on Zephyrus her senior year because being a professional procrastinator and Netflix junkie are the only jobs she has managed to keep over her idle 17 years of life. As a leader for Project Earth, Backpack Tutors, and Sober Squad, CC will be forcing students to recycle, tutoring academically at-risk students, and saying no to “drugz”. Because she owns the cutest dog in the world, whom she’s emotionally attached to, expect her to arrive 10 minutes later due to the dangerous distraction he poses. CC has created an official email for the amazing people that would like to contact her - [email protected] . That means you, Mom.